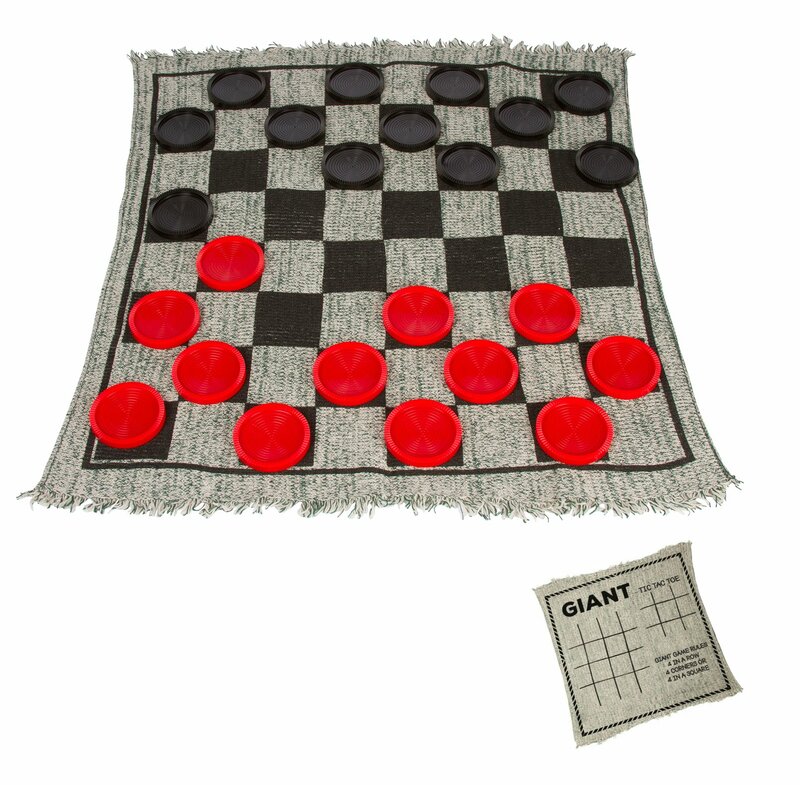 Rug measures 24" x 26"
Spend hours of fun with this giant checkers game rug. The rug measures 24" x26" and is made of synthetic fiber. Machine wash gentle cycle, lay flat todry. Comes with black and red checker pieces. Great for all ages. Takecamping, to a picnic or backyard barbecue. The rug folds easily for storage.By Trademark Innovations.